Boy, was this a trip down memory lane! 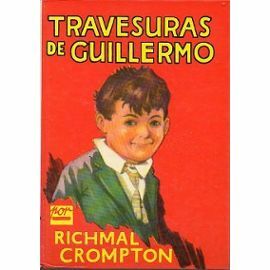 As the years went by I went on to read other things--a great many other things--and Guillermo receded into dim memory. My mind filed the stories away under "Spanish children's literature," and that was that. (Ironically, I concluded at the time that the Spanish author had an excellent grasp of British customs and society). A few weeks ago, a conversation with a friend made me think of these long-forgotten stories from my youth. After a bit of research I discovered that a) the stories were originally English (duh!) b) they were written back in the 1920s (wow! ), and c) the author, Richmal Crompton, was female. A nice little triad of revelations. 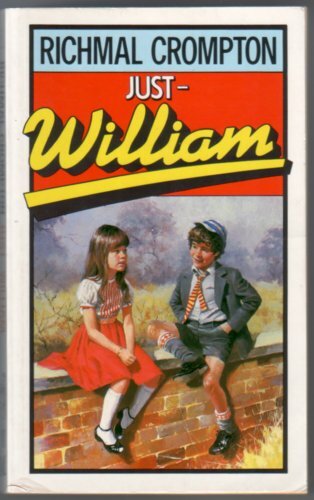 Armed with these facts, and curious to see if the material would stand the test of time (both chronological and subjective), I recently obtained an English-language copy of the first book in the long-running William series, titled Just--William. As so many years ago, I enjoyed it thoroughly and unabashedly. Reading these stories today from the perspective of a writer and reviewer as well as a reader simply indulging in nostalgia and escapism, I can't help but appreciate the marvelous characterizations, the deftness of plotting and pacing, the sheer storytelling pleasure and, above all, Crompton's remarkable gift for comic timing. After the most perfunctory scan of these stories' place in British letters, it's clear that they're canonical children's literature. As they should be. (They don't seem to have gained a similar foothold here in the U.S.). I'm glad to have discovered this. And more glad still that Crompton went on to write so many popular and successful sequels. From now on, whenever I'm in the mood for some old-fashioned fun and laugh-out-loud shenanigans, I'll summon up the latest chronicle of William Brown's timeless misadventures, and while away whatever ails me.